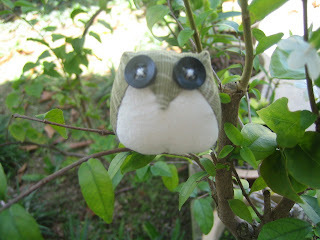 Just love sewing: An owl in my garden ? An owl in my garden ? An owl sittting on the Water Jasmine plant in my garden. Yes, it is, but it is a small fabric owl that I made this morning. LOL! Oh ! 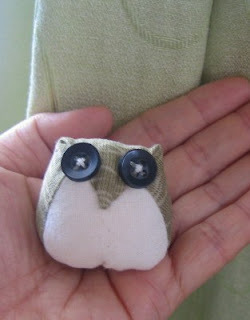 It is really fun to sew this little owl. When I have free time, I am going to sew up some more using my fabric scraps. If I did, then I will let them line up in a row. LOL!